Fresh Coat of Paint: I'll Chair-ish it Always! Did you ever have that one piece of furniture from your parents house that you always wanted for yourself? 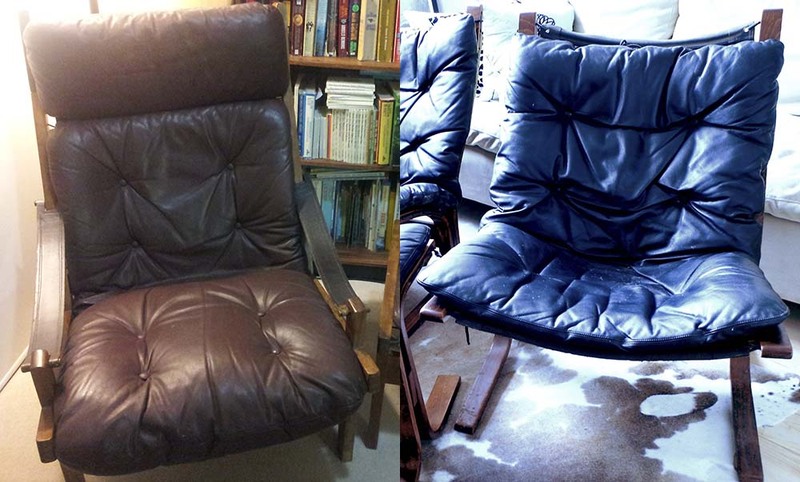 I did and it was the fabulous 70's cowhide chair in the top photo. I always thought it was so stylish and cool and, I confess, there was a time when I had trouble picturing my parents ever being young and hip enough to buy it. In the past few years, it has become easier for me to picture my parents as hip 20-somethings in the 70's, shopping to furnish their first real home and splurging on some fabulous pieces. As it turns out, they had some amazing, timeless style. When I first purchased the condo, I had kind of made a mood board in my head. 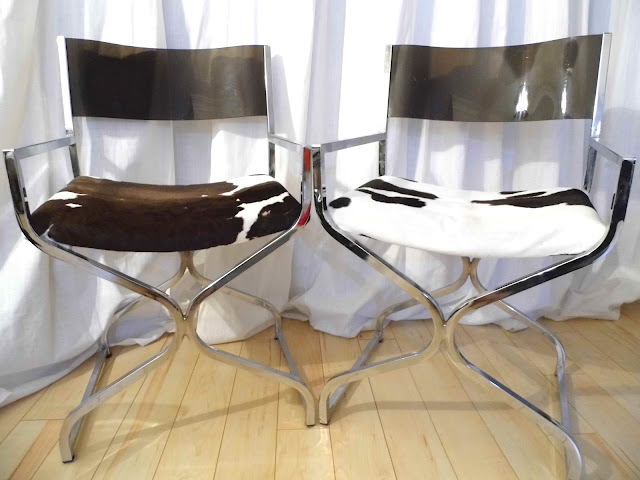 It involved a navy blue living room with beautiful brown wood accents and it kind of revolved around this cowhide chair. I don't know what made me assume that I could just have it... But I do remember being a little surprised when my mom told me that she loved the chair and would be keeping it! The nerve, right? Three years later, I am a little embarrassed that I just assumed that the chair I loved would automatically be mine. I'm also grateful for my mom's push to find my own furniture, since it gave me a chance to experiment with my own style. I actually think the director's chairs (below) were my way of creating my own modern version of her chair. 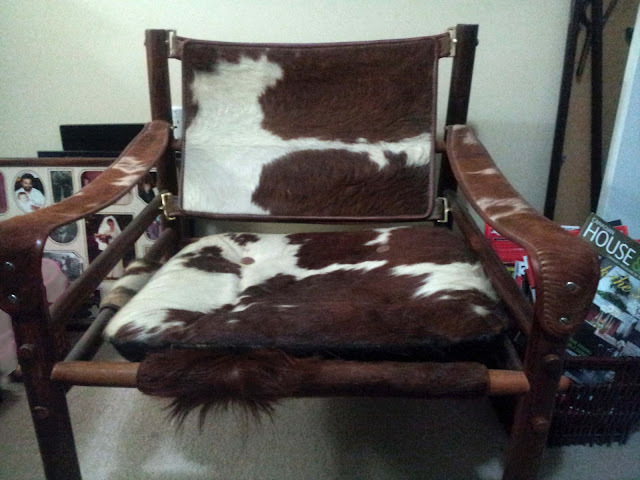 While, the cowhide chair was favourite from my parents' collection, it wasn't the only well designed piece I coveted. 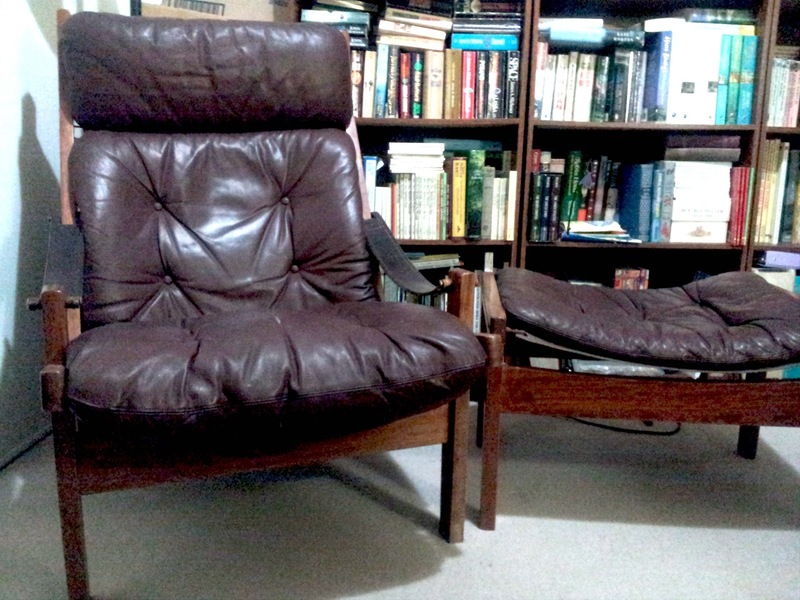 The Scandinavian chair and ottoman in the brown leather (below) were also a favourite place to curl up as a child. Both chairs and the ottoman currently reside in my mother's study. Back to the present: After nearly three years with the director's chairs in the living room, I promised Corey that our new home would be more comfortable. This included a more masculine bedroom, keeping his favourite sofa (currently in my office) and perhaps moving it to the family room and finding some more comfortable chairs for the living room. Our condo was never really a permanent "home" and, while Corey tends to let me decorate as I please, I want our new home to be inviting and comfortable for both of us. Recently, I was browsing my cousin's blog and came across a really interesting post on new thrifter blogs to check out. One of the new blogs I discovered is called The Listings List (Oooh... I should start this with real estate listings. Would anyone read that??) and the author, Aleysa (who is FANTASTIC) hunts through Toronto Craigslist and Kijiji items listed for sale and posts interesting finds and good sales. For those of you who missed the post, I wrote about my love of Craigslist last week. I loved them right away because there was something familiar and comfortable about them but they also had beautiful lines and a classic design. Now, I'm the first to admit that I know nothing of designers and just sort of buy what I like. I've had some good hits but I probably also make far more design faux pas than the average person. :) I think my design savvy friends must just roll their eyes and forgive me. My lack of designer knowledge tends not to bother me, but it does mean that I need to do some research before spending money on a "designer" chair. Thank goodness for google! I was able to look up hundreds of images and many articles about the designer, Ingmar Relling. I learned that he was a Norwegian designer who is considered to be one of the most influential Scandinavian furniture designers in history. His iconic Siesta chairs (which were the chairs we were thinking of buying) are said to have been influenced by ergonomic studies and many say they are one of the best examples of modern Scandinavian design. I showed the pictures to Corey and he immediately told me that he loved them and couldn't believe I would like anything so... comfortable! This had been pretty much the response I had expected, since this all happened before the piano incident. Now, all we needed to do was check on the price. 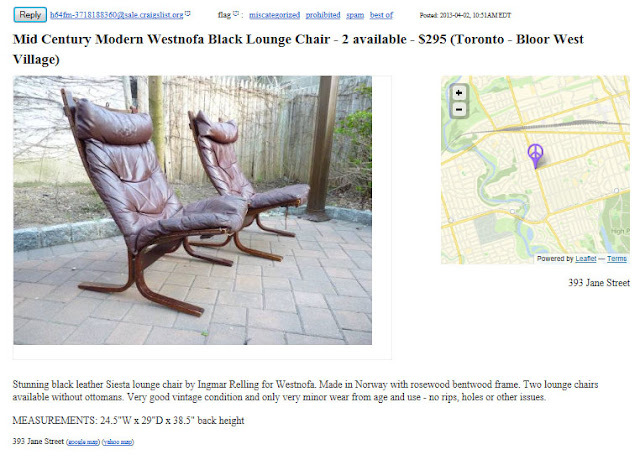 Google search results also allowed me to confirm that the asking price for the chairs was actually quite good! Woo hoo! I picked them up last weekend and thanked both Chris and Aleysa for their help in finding them. It wasn't long before first Aleysa and then Chris sent me a link to the listing below and urged me to consider the matching ottoman for my chairs. I had actually had my eye on it since it was first posted but I had been watching the price drop. 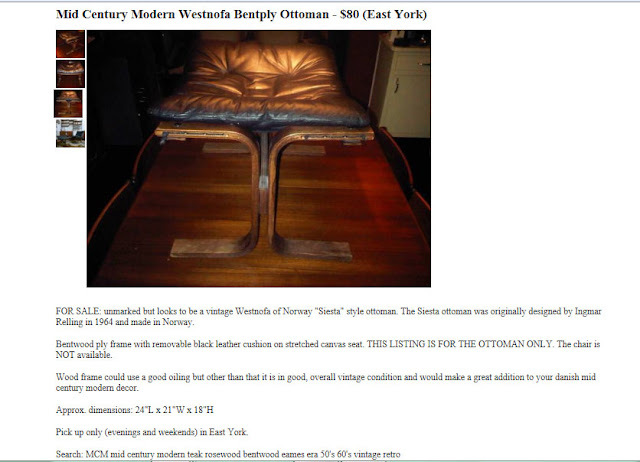 Chris reminded me that they're worth more as a set and so Corey and I went to see the ottoman in person today. We were a little disappointed to discover that the screws, grommets and the canvas didn't match our chairs. The ottoman is probably not Ingmar Relling, although it is very similar and appears to be close to the same age. We explained this to the owner and were left with a decision of whether or not to purchase the ottoman. We ended up deciding to purchase it for now (at an appropriately adjusted price) and keep our eye out for the "real deal". There is still work to do on the chairs: Both the leather and wood need to be oiled well and the chairs could probably be restuffed in the future but, we're happy for now. Isn't it funny, how much my chair resembles the chair that still lives in my mother's house? I suppose our preferences (especially in terms of what makes a house feel like a home) are shaped more during childhood than we know. 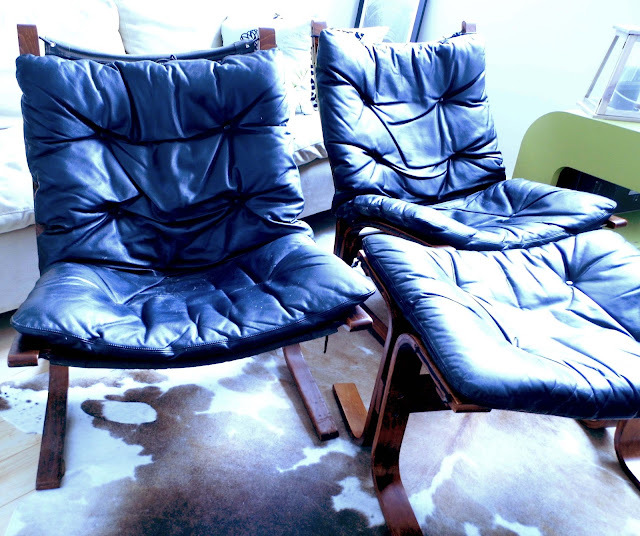 In fact, now it totally makes sense that my gut reaction to seeing the Siesta chairs was that they belonged in my home... I grew up with their cousin! Oh, there are all nice photo. A buyer can choose and buy this easily. Thanks for share. Speedy and simple tips to play better golf at this moment. By Barry ... There's entirely right reply concerning what works best for you, yet one thing is without a doubt. Adjusting your . Golf player like nice chairs. I like too.. 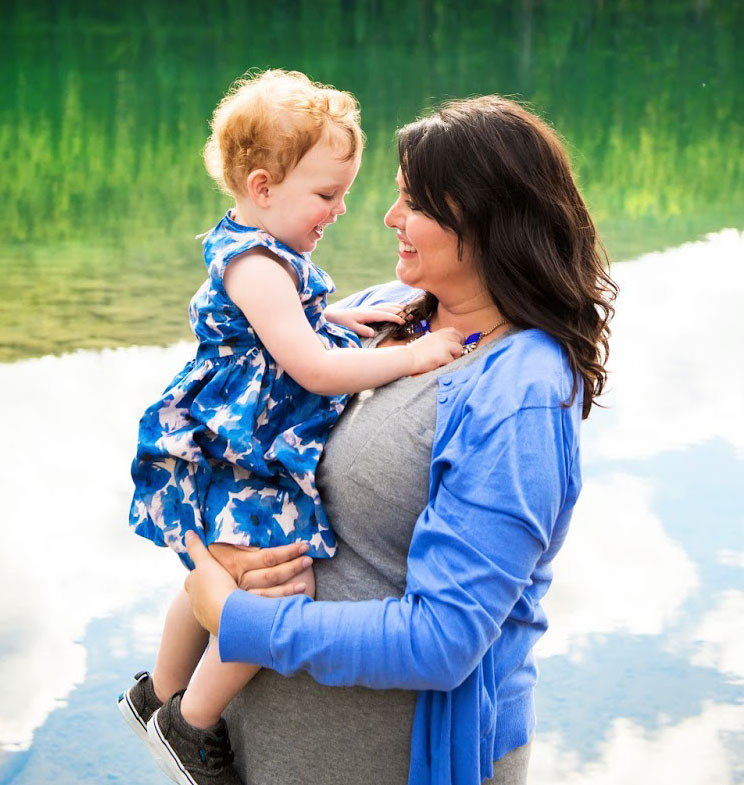 This is a great blog post. How do I decide between the Mizuno 10.75, 11 and 11.5. My son is turning 7. He was using a 10 or 10.5 Louisville Slugger Genesis glove. I bought a 12 inch mizuno used but that was too big (i think it was incorrectly labeled as a youth glove). If answers to these questions and others seem evasive and forced, chances are the church chairs you are considering are actually produced by an intentionally hidden entity. The chair that your mother have is "Hunter" by Torbjørn Afdal. Another well known norwegian designer. Typical Widths and Depths. Walk-in closets should be a minimum of 4 feet wide by 4 feet deep. With these minimum dimensions, the closet will accommodate shelves and hanging space on one side wall and the back wall.